Asia is the emerging epicentre of global terrorism, replacing the Middle East as the key breeding ground for terrorist operatives and supporters. Since the US-led intervention in Afghanistan nearly a decade ago, al-Qaeda and its associated groups–notably the Taliban–have survived and revived. The Pakistani Federally Administered Tribal Area (FATA), separating the rest of Pakistan from Afghanistan, has become the central theatre of operations and unless governments sincerely and seriously work together and share expertise and resources, the spectre of terrorism is likely to grow in South Asia and could even spill over to East Asia in the coming decade. Pakistan faces the biggest threat in the region. While tribal Pakistan faces the most severe and sustained challenges, the Pakistani mainland is also threatened. 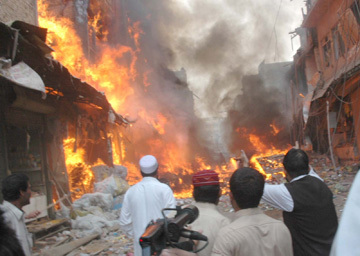 Al-Qaeda and the Taliban operating out of FATA have reached out, percolating their ideologies to other groups, including attacking Western targets in Mumbai in November 2008. 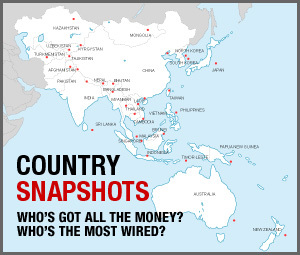 While Southeast Asian groups traditionally looked towards their Middle Eastern counterparts for inspiration and funding, groups in Asia are increasingly looking towards Pakistan, especially where al-Qaeda and the Taliban are located. In addition to seeking the blessing of al-Qaeda, their perceived vanguard, they also receive training and operational guidance there. In Southeast Asia, concerted efforts have reduced terrorism significantly. Nonetheless, prolonged conflict zones in Southern Thailand, Southern Philippines, and Eastern Indonesia produce the conditions for local groups to spawn and foreign groups such as Jemaah Islamiyah to establish a presence. Since 9/11, governments throughout Asia have increased efforts to track, catch or kill active terrorists. However, they lack both the legal structures and the platforms to counter extremist ideologies. Governments must understand that a cleric that preaches moderate views is as important as a law enforcement or intelligence counter-terrorism officer in combating religious terrorism. Unless governments in Asia build platforms to counter ideological extremism — the precursor to terrorism — the region is likely to face a long-term threat. If the current pace of radicalization and operational action continues in the coming decade, we are likely to witness four trends. •	First, the spread and dominance of al-Qaeda’s global jihad ideology across Asia. •	Second, groups are likely to collaborate more by sharing expertise and resources. •	Third, the greater threat is not from operational contact but from ideological radicalisation, especially of Muslim communities throughout Asia. •	Fourth, more groups will conduct suicide attacks. And instead of conducting a large number of small scale attacks, these groups are likely to mount fewer medium to large scale attacks. To reverse this course, governments throughout Asia should develop a multidimensional, multinational and multijurisdictional approach. They should work together to build common databases, exchange personnel and conduct joint training and joint operations to defeat the common threat of terrorism. Rohan Gunaratna is Head of the International Centre for Political Violence and Terrorism Research and Professor of Security Studies at the S. Rajaratnam School of International Studies, Nanyang Technological University, Singapore. He is the author of the international bestseller ‘Inside al-Qaeda: Global Network of Terror,’ published by Columbia University Press.